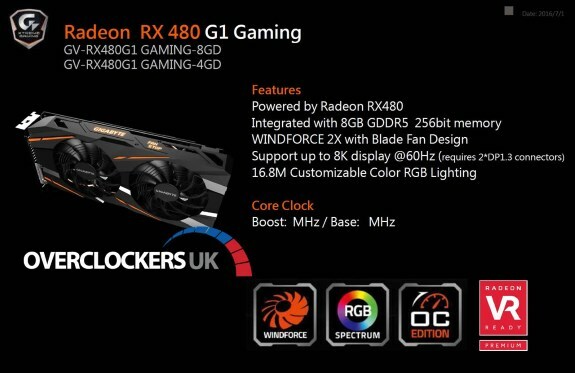 Here we have the upcoming Radeon RX 480 G1 Gaming graphics card from Gigabyte! 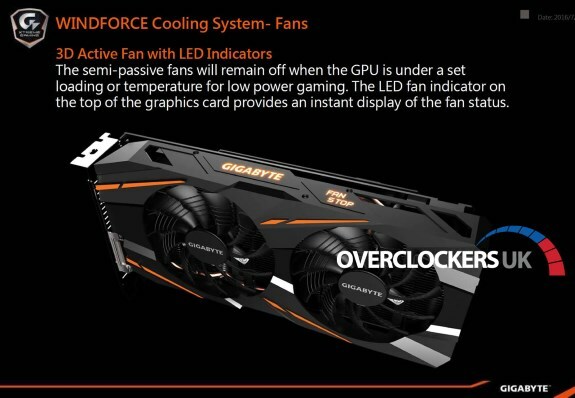 This model will ship in 4GB and 8GB GDDR5 memory configurations, it features the WindForce 2X cooler with Blade Fan Design, as well as Fan Stop to turn off the fans when you're idling or when temperatures are low. Special features include 16.8 million color customizable RGB lighting (side logo) and a metal back plate. 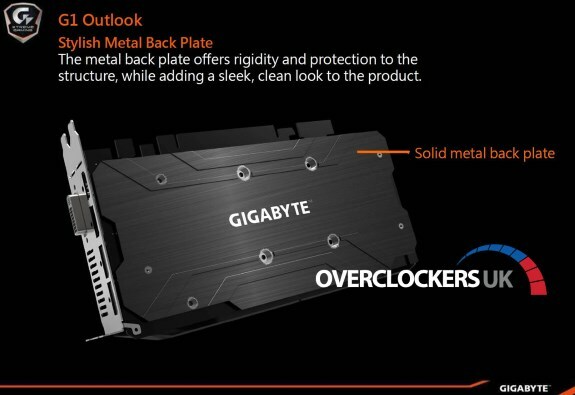 Unfortunately, we don't know the clockspeeds and the pricing/availability is also still a mystery.